The significance of observing Earth Hour, that has been demonstrated with impressive effect in the UAE in the last 12 years that it has been observed, along with 181 countries, need not be overstated if we look at the simple relationship between energy consumption and depletion of natural resources. And the Earth Hour, in asking people around the world to abstain from energy usage for 60 minutes, is simply showing what the cumulative power of savings is all about. While its detractors point to its symbolic nature, the fact is, symbolism has the power to create a change for good. 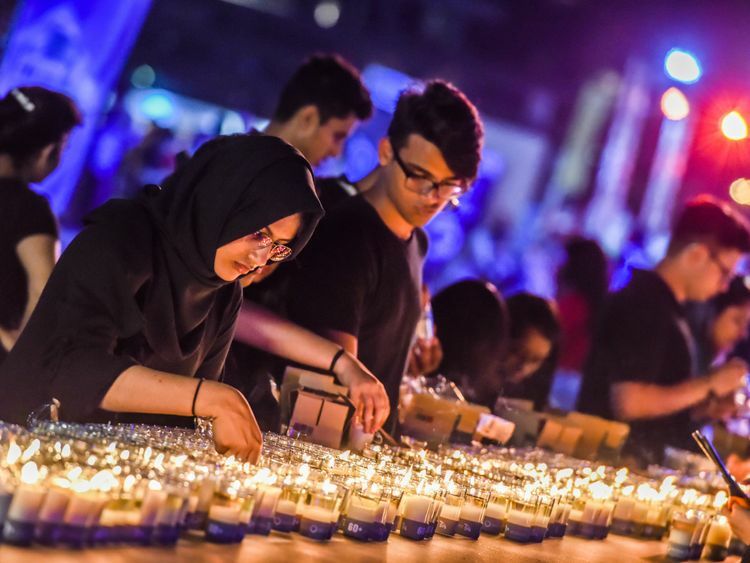 By initiating the idea that we can, willingly, make do with less as a statement of intent, Earth Hour is signposting a conservation discipline that the planet desperately needs to adopt. Over the years, while observing Earth Hour, Dubai, for instance has saved 2,652 mega watts of energy in the collective 12 hours in the savings mode. In terms of offsetting carbon emissions, it amounts to about 1,132 tonnes of CO2 prevented from entering the atmosphere. If just 12 hours can make this kind of a difference, it is not hard to imagine what a consistent approach to saving energy would mean for the health of humanity and the planet. The conservation of resources and energy has enormous social, economic and political implications for our future. The constant, year-round campaigns in the UAE to save water and electricity through small everyday changes are at the root of the change that we envision for ourselves. Every time you switch off lights in a room you are not occupying, every bulb in the house you replace with an energy saving bulb, every attempt at not using heavy duty household appliances during peak hours in summer, makes a difference and it is analogous to the discipline of saving money: every dirham not spent is a dirham saved and the financially savvy know the worth of this elementary approach. It’s no different with energy saving whose rewards have an incredibly large ripple effect — from saving of fossil fuels, protecting the environment from further damage to assuring cleaner, healthier lives for humanity. The purpose of Earth Hour is not to provide a solution to the world’s energy crunch but participating in it symbolises a commitment that goes beyond the hour and in that commitment lies mankind’s future.